"The embargo policy in the last two years, which is to say under the government of President Obama, has not changed at all.[...] In some aspects, it has even hardened." The statement is part of a blatant attempt to rewrite the first two years of the Obama presidency with respect to its policy towards Cuba by whisking away the facts down a memory hole. The regime has an extremely effective propaganda apparatus operating both internally and internationally, and have used it extensively to cover up other past crimes and inconvenient facts. The facts presented chronologically below indicate just the opposite that the Administration's offer to reset relations with the Cuban dictatorship and loosen sanctions were rebuffed. On April 13, 2009 the Obama Administration eased travel restrictions to Cuba put in place during the Bush Administration and paved the way for American telecommunications firms to begin providing service for Cubans. "The US seeks a new beginning with Cuba. [...]I know there is a longer journey that must be traveled to overcome decades of mistrust, but there are critical steps we can take toward a new day." 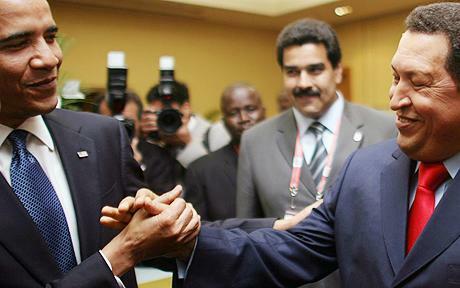 At the same meeting Mr. Obama shook hands with staunch Castro ally Hugo Chavez. In June of 2009 President Obama snubbed the 2009 winners of the NED Democracy Award which were five leaders of Cuba's pro-democracy movement earning a rebuke in The Washington Post. How did the Cuban dictatorship respond to this offer of new relations, loosened sanctions and cold shoulder to dissidents? Rather than focus on what the Cuban dictatorship says. Let us focus on its concrete actions. On July 21, 2009 medical doctor, Cuban dissident and Amnesty International prisoner of conscience Darsi Ferrer was arrested and housed in a maximum security prison with inmates who had convicted violent crimes. Despite years blaming the United States and the embargo for its lack of internet connectivity the regime in Cuba rebuffed an Obama initiative that would have opened the island to better cell phone and internet service. On November 6, 2009 Havana based blogger Yoani Sanchez was kidnapped and beaten up by Cuban state security agents. On November 18 she posted a series questions to both President Obama and dictator Castro about US-Cuba relations. President Obama's response to her questions were posted on November 19, 2009. On December 5, 2009 Alan Gross, a United States citizen was arrested in Cuba and has been held without trial to the present date. On December 10, 2009, international human rights day, the Ladies in White were subjected to regime organized acts of repudiation and physically assaulted. On February 23, 201o Amnesty International prisoner of conscience Orlando Zapata Tamayo died after 83 days on a water only hunger strike. 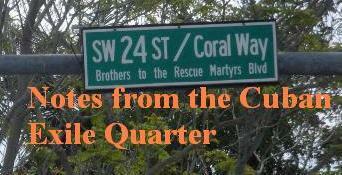 For 18 of those days Orlando Zapata was denied water by prison officials contributing to his death. Over seven days in March 2010 Cuban state security organized mobs to physically assault the Ladies in White and continued to do so with rising international condemnation until May 2010. The death of Orlando Zapata Tamayo and the brutalization of the Ladies in White in February and March of 2010 led to both international and domestic condemnation that forced the regime to reconsider its approach not the accommodationist policies pushed by the Obama Administration and the Spanish government. Now there are rumors circulating and a campaign underway for five Cuban spies responsible for espionage and state terrorism in the United States claiming they will be shortly pardoned. This would encourage terrorists to target the United States as did the 1999 pardoning of Puerto Rican terrorists who engaged in bombing campaigns on US soil. There is something you can do to prevent this outrage: Please sign this petition that will be sent to the President of the United States demanding justice not pardons and that those still at large for murdering Americans be placed on Interpol watch lists.